The James Webb Space Telescope should start returning its first scientific results by the end of 2019, and scientists recently announced a slate of observations selected to whet the appetites of astronomers who will use the multibillion-dollar facility well into the 2020s. The observatory’s initial scientific targets will include Jupiter and its moons, supermassive black holes at the centers of galaxies, planets orbiting other stars, and some of the oldest observable galaxies in the Universe. 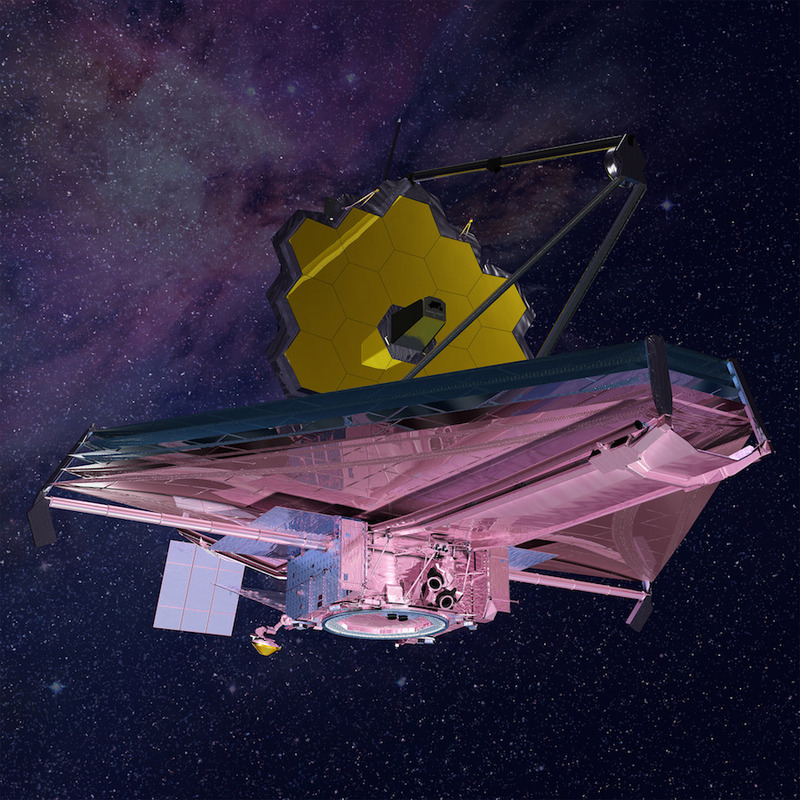 The director of the Space Telescope Science Institute, Ken Sembach, selected 13 observation plans last month from more than 100 proposals submitted by global science teams for the chance to be among the first to use JWST after its launch in early 2019. Officials expect to declare JWST operational around six months after its launch, allowing time for the spacecraft to cruise to its observing post at the L2 Lagrange point nearly a million miles (1.5 million kilometres) from Earth, deploy its segmented telescope, and complete a series of test imaging campaigns to fine-tune the observatory’s performance. Then JWST will be turned over to scientists, and two sets of observers will be the first to point the telescope toward celestial targets for scientific purposes. 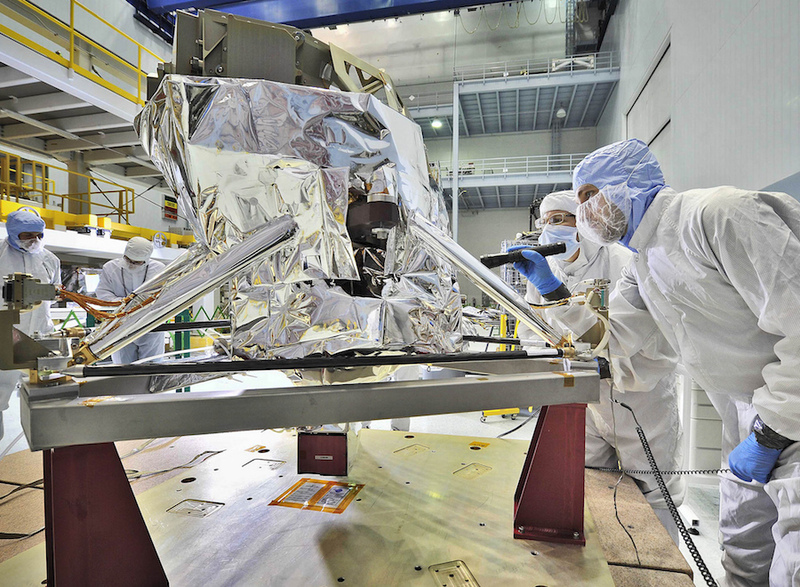 Research teams in the United States, Europe and Canada that helped develop JWST’s four science instruments have guaranteed access once the telescope is operational, but managers opened up nearly 500 hours of observing time for other astronomers. The 13 teams selected for the JWST Director’s Discretionary Early Release Science Program will have access to the observatory for 460 hours of data-gathering. 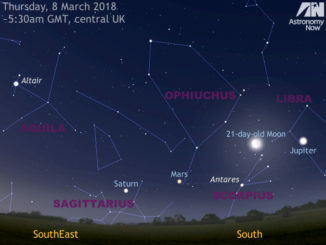 The 253 astronomers involved in the early observations come from 18 countries — the United States, European Space Agency member states, Canada, Australia and Chile. “I’m thrilled to see the list of astronomers’ most fascinating targets for the Webb telescope, and extremely eager to see the results. We fully expect to be surprised by what we find,” said John Mather, JWST’s senior project scientists and senior astrophysicist at NASA’s Goddard Space Flight Center in Greenbelt, Maryland. While the instrument teams with guaranteed time on JWST will get to hold onto their results to conduct their own analyses, a key tenet the early science program is the immediate release of imagery and spectral data, giving a broader community of astronomers a chance to incorporate Webb’s findings within a year of its launch. All four of JWST’s science instruments will be employed in the early science program, which will extend from November 2019 through April 2020, assuming the mission remains on track for launch in early 2019. “We want the research community to be as scientifically productive as possible, as early as possible, which is why I am so pleased to be able to dedicate nearly 500 hours of director’s discretionary time to these ERS observations,” Sembach said in a statement. Another team of astronomers will turn JWST’s optical and infrared gaze toward globular clusters orbiting the Milky Way and a relatively nearby galaxy to take what amounts to a stellar census. The imagery will allow scientists to count the stars in each cluster, and determine their ages, yielding insights into the history of galaxies in the Milky Way’s neighborhood, and the wider cosmos, according to Daniel Weisz, an astronomer at the University of California – Berkeley. JWST’s primary mirror spans 21.3 feet (6.5 metres) in diameter, nearly three times bigger than the Hubble Space Telescope. Scientists investigating the formation and evolution of the Universe will peer back in time using the first-of-their-kind capabilities to debut with JWST. 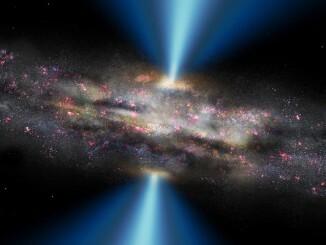 Steven Finkelstein, a professor of astronomy at the University of Texas at Austin, leads a campaign to extend a galactic survey previously conducted with Hubble, overlaying the earlier optical observations with new, deeper infrared imaging sensitive to the light-stretching effects of the expansion of space. “We will discover the most distant galaxies ever seen — galaxies that were literally invisible to Hubble,” Finkelstein said in a statement. 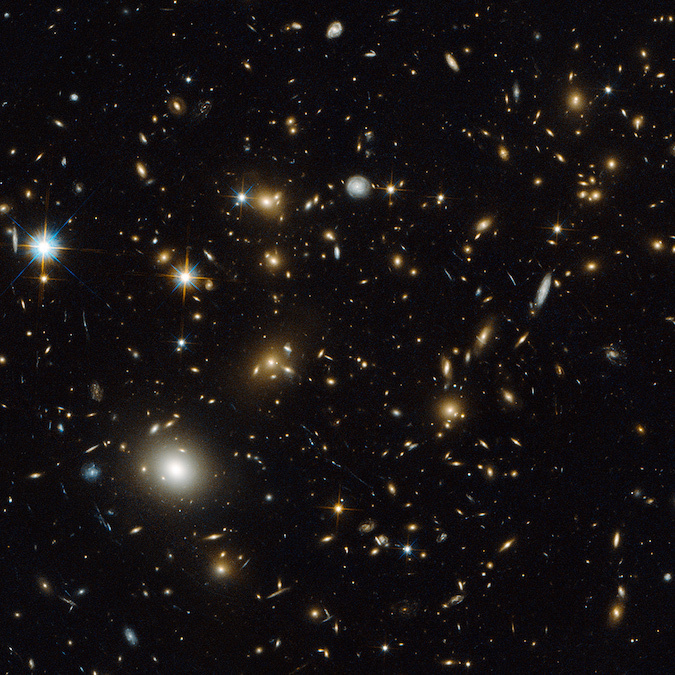 With JWST, astronomers should resolve galaxies as they existed 13.4 billion years ago, 3 percent of the Universe’s current age, according to a University of Texas press release. Observing such distant galaxies in infrared light will help researchers understand how the earliest stars formed, then assembled into galaxies and ever-larger cosmic structures. Astronomers with early observing time on JWST will also turn the telescope to look at galactic clusters, using their immense gravity as lenses to see more distant galaxies lurking behind them. 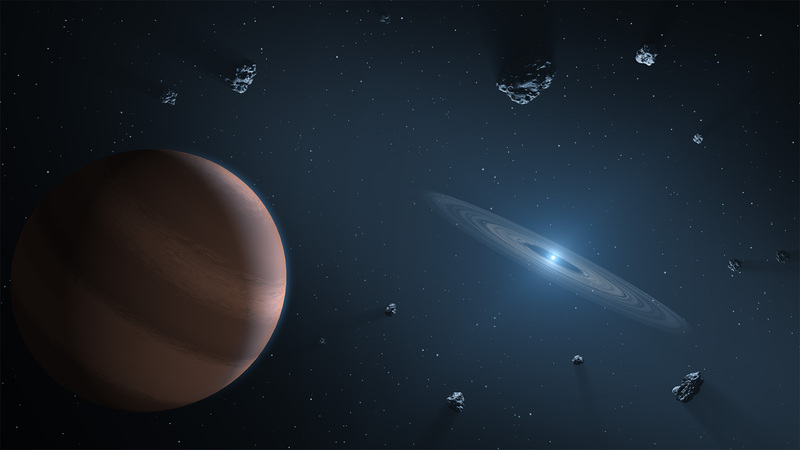 Closer to home, Jupiter and its moons will be a subject of JWST’s focus early in the mission to demonstrate the observatory’s scientific promise for Solar System research. “We will see if we can image the rings and get rid of the scattered light from Jupiter, which pushes the telescope’s limits and really tests the capabilities of JWST,” said Imke de Pater from the University of California – Berkeley. JWST will also observe Jupiter’s auroras, the volcanic eruptions on Jupiter’s moon Io, and search for an atmosphere and potential icy plumes on Ganymede. It takes long-term planning to develop, propose and defend ideas to use valuable time on a costly observatory like JWST. The astronomical targets announced last month were revealed several months after officials unveiled the JWST investigations granted to science teams with guaranteed observing time. Those studies include observations that fall within some of the same themes as the early release science, such as ancient galaxies that formed just after the Big Bang, the birth and evolution of stars and planets, and our own Solar System, particularly the outer planets and the search for the chemical fingerprints of potential life on Saturn’s moon Enceladus. A more extensive “guest observer” program is also in the works to give astronomers not directly involved in the telescope’s development wider access to the observatory in the 2020s. 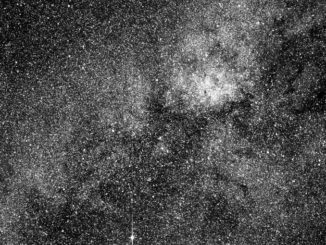 NASA’s planet-hunting TESS satellite has completed a gravity assist flyby of the moon and sent back an initial test image from one of its four cameras showing about 200,000 stars. Science operations are expected to begin in mid June.